Sharjah Art Foundation is pleased to invite filmmakers to submit their films for Sharjah Film Platform (SFP), running from 11 to 21 December 2019. Sharjah Art Foundation is pleased to invite filmmakers to submit their films for Sharjah Film Platform (SFP), running from 11 to 21 December 2019. Organised by Sharjah Art Foundation to support the flourishing art scene in the UAE and MENA region, SFP provides a critical platform for emerging and established filmmakers, producers, critics and students alike. The platform has three main components: the curated film programme and awards, the public programme of talks and workshops, as well as the film premieres from the Short Film Production Grant. 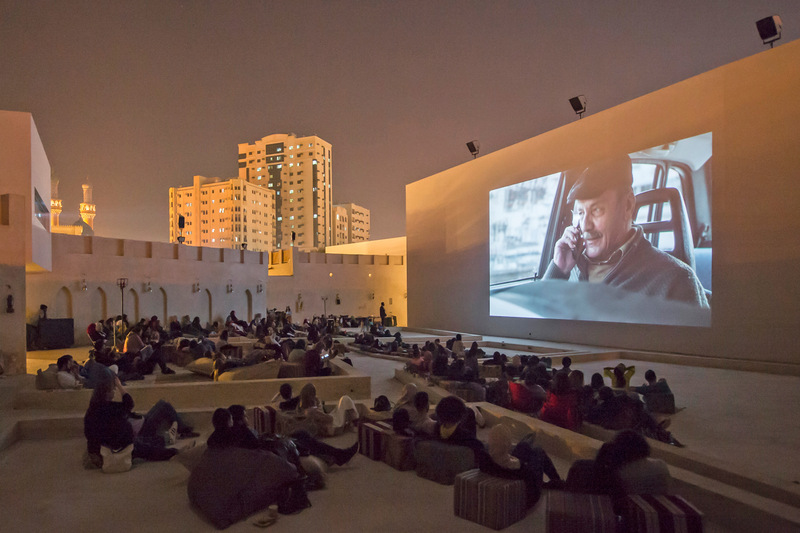 SFP will take place in Sharjah at the foundation’s Mirage City Cinema, Al Mureijah Square, and the nearby Al Hamra Cinema. All films accepted to Sharjah Film Platform will automatically be considered for a juried award. The application deadline is midnight (GMT+4) on 1 June 2019. Those whose films are accepted for SFP will be notified by email. •	All films must be original. •	Only one film submission per director will be considered; multiple submissions will not be accepted. •	Only Vimeo and YouTube screeners will be considered. •	Submission is free and open to the public worldwide. •	Without exception, all submissions must be received by the deadline of midnight (GMT+4) on 1 June 2019. •	Screen the film publicly in the SFP festival programme. •	Use segments of the film for marketing purposes, that is, advertising, publicising and promoting the film in any media, without time or territorial restrictions. •	Use names, photographs, screenshots and/or biographies for marketing purposes, that is, advertising, publicising and promoting the film in any media, without time or territorial restriction. •	All rights for the submitted film’s screening license must be obtained by the applicant. •	All copyright permissions, including those for stock music and stock footage, must be cleared by the applicant prior to submitting the film for consideration.